Rosacea or Facial Redness - What is it and how do we treat it? Rosacea starts as generalised redness on the cheeks, nose, chin or forehead. At first, rosacea comes and goes. After a while, the redness deepens and lasts longer. Visible blood vessels, or spider veins, can appear in the skin. If not treated, pimples and bumps develop and the nose may become large and bumpy. There is no known cure for rosacea, but treatment can be effective, specially when begun in the early stage, where it can influence its course significantly. Avoiding sun exposure. People with rosacea are particularly sun sensitive. They also need to be careful to choose a sun block that does not irritate the skin. Cosmetics, such as make-up, cleaners, lotions and moisturisers, can irritate the skin, so choosing non-irritating, hypoallergenic and unperfumed products is advisable. 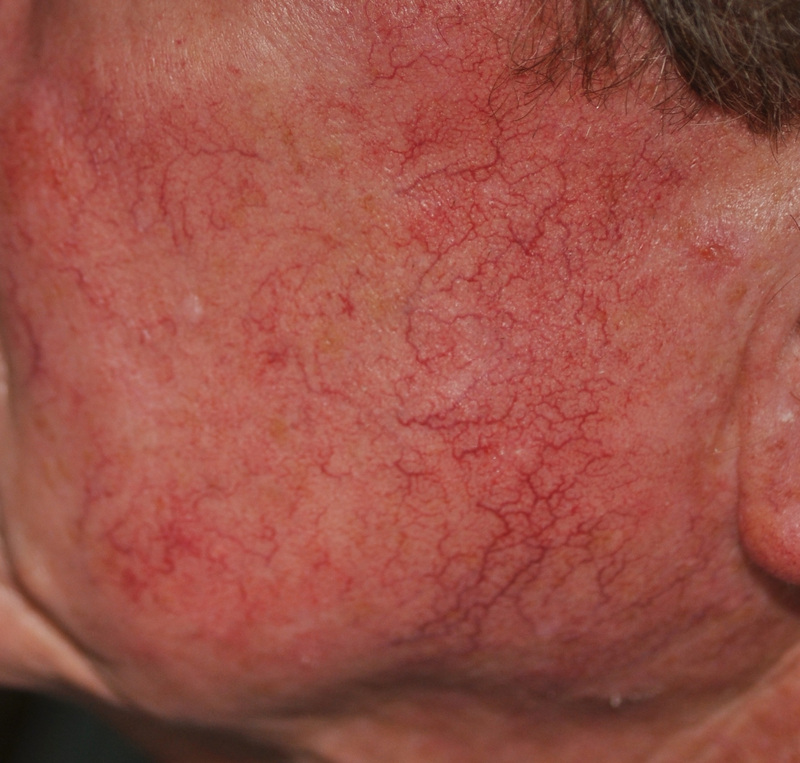 Telangiectasia is the medical term for the broken capillaries, or spider veins, that can appear on the face, most commonly around the nose or on the cheeks. These can appear similar to the spider veins that appear on the legs, but the causes are different. Prolonged inflammation, high blood pressure, obesity and certain medications are some of the medical causes for the appearance of these veins. Non-medical causes can include genetics, sun exposure, rubbing/washing the face too hard or inappropriate use of products. Lasers and Intense Pulsed Light machines (IPL) can target red skin, which arises either because of the presence of dilated surface blood vessels or because of an overall increase in blood supply, resulting in a flushed appearance. Small red spots, such as cherry angiomas, often disappear with one treatment. More extensive veins on the face usually require additional treatments, spaced a month or so apart. These conditions are treated either because of cosmetic concerns or because they are causing a stinging or burning sensation of the skin (especially in post-menopausal women). Vascular laser treatment for facial redness, or rosacea, is the definitive treatment of this condition. 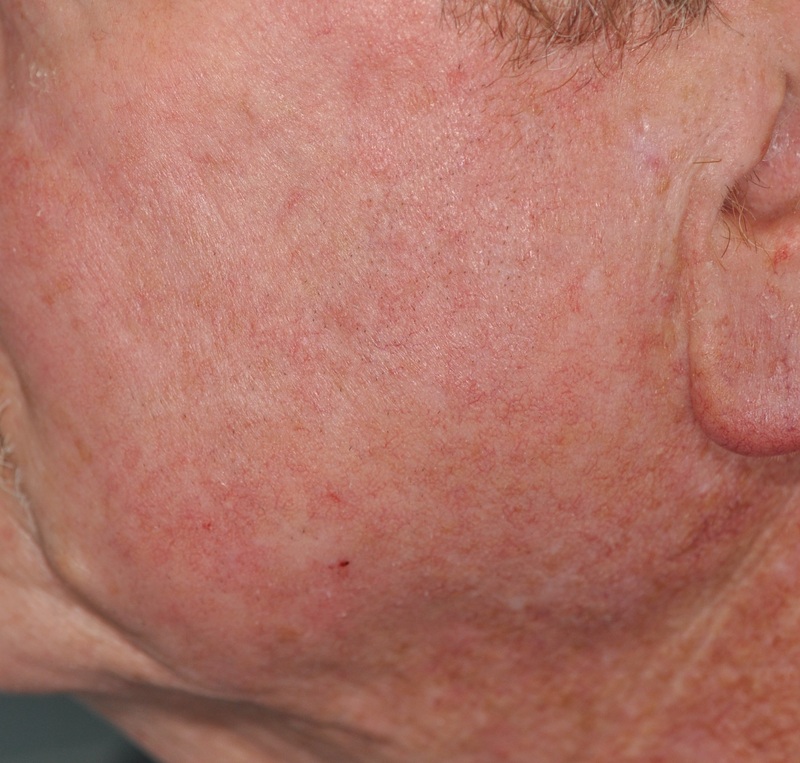 Rhinophyma (enlarged noses due to rosacea) are treated with an ablative laser.